Learn more about the Haiku Alive program and see the work children are doing in writing about their experience and connections with nature. 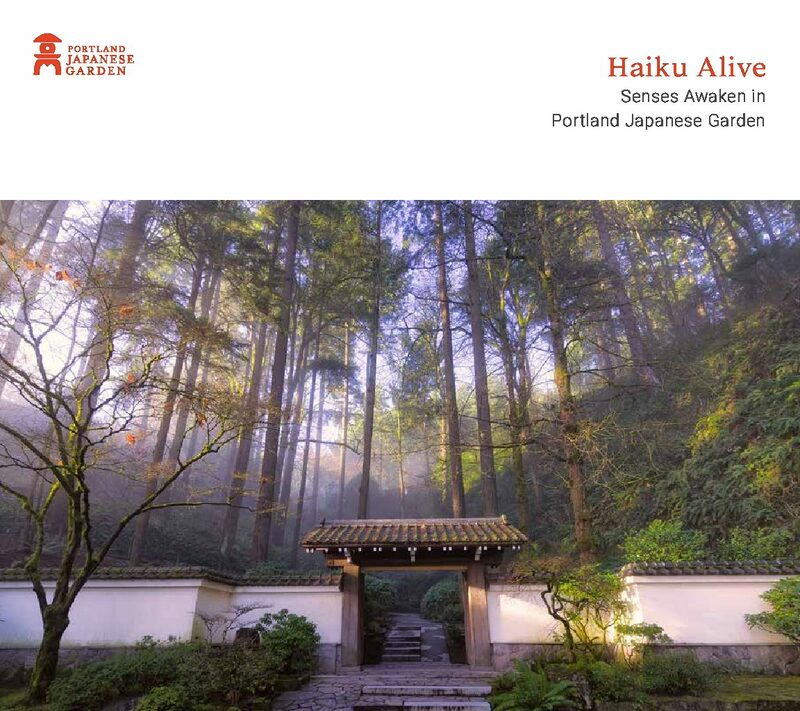 Haiku Alive is Portland Japanese Garden’s school outreach program. Teaching the Japanese cultural value of living in harmony with nature through focusing on poetic tradition, Haiku Alive offers children a new gateway to explore the natural world. Students receive an immersive experience, engaging all five senses to translate natural beauty and the magic of the seasons into words and images. Haiku Alive inspires creativity, builds language skills, and instills confidence in students of all abilities and socio-economic backgrounds. Haiku Alive started in 2011 and currently serves students in grades 2-5 in four elementary schools in Portland’s Parkrose School District as well as at Park Academy, a small independent school. Two tours of the Garden are complemented by three in-class sessions focusing on writing haiku. Encouraged by volunteer tour guides, the students move through the garden with clipboards, paper and pencils, documenting their experience with digital cameras as they go. Later in the classroom, their photographs of ephemeral nature in the Garden are paired with word snapshots, capturing moments experienced in the Garden. This integrated educational experience leads students to deepen their understanding of Japanese culture and keep a powerful connection to nature in their daily lives – long after Haiku Alive is a distant memory. Just as Japanese gardens have become an art form loved, interpreted, and adapted around the world, writers of diverse languages and backgrounds have found resonance in haiku. Haiku poems have been penned in Spanish, Estonian, Gujarati, Arabic, German, French, and countless other languages by poets both anonymous and famous. In haiku, each of the three lines allows a fresh view of a simple moment in time – a word snapshot that immortalizes a distinct but fleeting instant. This simple yet complex poetic form that evolved centuries ago in Japan speaks so clearly and profoundly to people around the world today. It is truly difficult to imagine a more perfect learning tool to inspire and help students dig deep into nature and learn to express and articulate their own thoughts, feelings, and visions. The Haiku Alive experience isn’t limited to students at participating schools – a new book, which can be downloaded for free in PDF format here, features essays, images, and haikus from the program. The book includes interactive activities and is designed to be enjoyed together by children and their teachers, parents, or other caregivers. We encourage you to use this beautiful new resource to experience Portland Japanese Garden and take the experience home. Haiku Alive for the 2018-2019 School Year is supported in part by F.A.O. Schwarz Family Foundation and PGE Foundation.